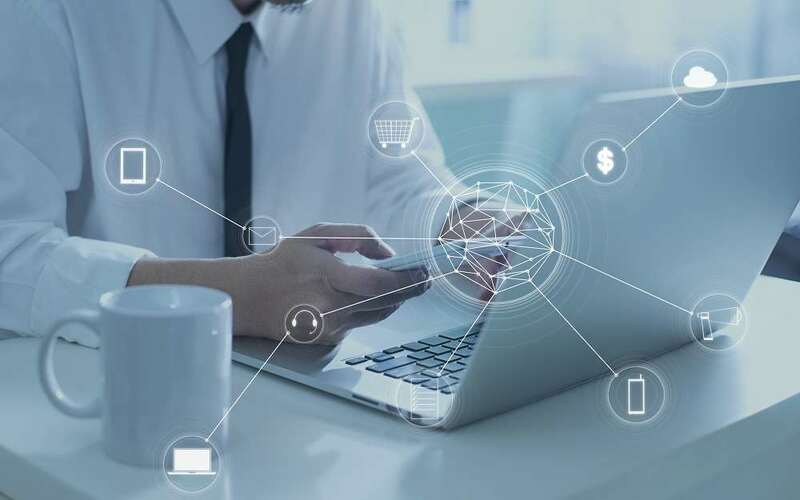 The huge global increase in connectivity, prompted by the launch of mobile devices, has affected banks just as much as retailers. As a result, financial institutions have had no choice but to put digital at the front and centre of their strategies – using technology to enhance the customer journey at every touch point, personalising services, combining channels, and using big data to make the consumer’s banking experience more seamless. As the industry is starting to see, organisations that do this successfully can gain loyalty from customers, attract new business and make savings along the way. We know that financial institutions haven’t always been able to effectively digitally transform at the pace they need. However, digital is no mere fad, and so finding a new approach is essential. After all, it is estimated that by 2025, 40% of Fortune-500 companies will have vanished because they will have failed to keep pace with the changes now underway. Customers increasingly expect a digital experience and financial institutions therefore, have no choice but to provide one. To deliver a digital experience to their customers, financial institutions need to build a digital culture into their processes and foster this among their staff. They also need to remember that investing in technology alone doesn’t make them digital. That’s because ultimately, any digital strategy must start by putting people at its heart. Digital teams must ask – what do our customers want to achieve? What’s the journey like for them? What information do they need access to, and how do they want to access it? And, crucially, how do we help our staff make this possible? It’s only by understanding the answers to these questions that a financial institution can then start to build and implement the technology that will best support its customers. Of course, every customer likes to deal with their banks, lenders, mortgage providers, or current accounts differently, so it’s likely that there’s no one simple answer to these digital strategy questions. One banking customer might be very happy to embrace the whole mortgage process from their living room, even down to booking their removal firm from the banking app on their smartphone. For others, a transaction like this is preferable face to face, but they would expect services and information to be readily available via engaged and knowledgeable staff in branch. Financial institutions need to consider this, and make sure that their digital investments support a wide range of customer journeys and preferences. Achieving all of this, of course, is no mean feat, and there is a growing need for banks to put customers and people at the heart of every digital change. So, how do banks need to change culturally to make that happen? Of course, financial institutions need to invest in technology and continually monitor developments in digital applications, but it is nowhere near good enough just to give staff new technology and tell them to get on with it. If banks are serious about going digital, they must create an organisation that is customer-focused. For many, this involves a certain amount of cultural change at an internal level. Initial steps might seem small – such as cross-team working to encourage new ideas, or data analysis to understand customer trends and requirements better – but steps like this are vital for setting out on the right path, and for making the right digital choices in the long run. Most banks already have a crew of ‘digital natives’ who can contribute to the process (according to some reports about 50% of today’s workforce is currently considered to be digitally native). So, banks can benefit from not only informing, but also actively engaging enthusiastic staff from the beginning. When barriers are removed, and contributions welcomed, a ‘learn fast’ rather than a ‘risk averse’ approach can inspire creativity and foster digitalisation. Once initial steps have been taken to encourage collaboration and agility, concept work and R&D, will be essential to digital development. Every new innovation must be tried and tested, a process that involves stakeholders and many levels in the business – from customer experience teams in branch, to security professionals at HQ. Before new technology can be put to work, financial institutions must also train staff effectively. For many front-line employees in the branch, a switch to digital might involve them having less of a transactional role and becoming more customer-facing, so an educational programme to bring staff onboard with change, if they’re not already, is essential. Many, or all, of these steps require an adjustment – whether that’s because traditionally siloed teams must work with other departments in the business, or whether because projects may need to change direction or morph as time goes on. Cultural change is not easy – in fact, according to Harvard Business Review, three-quarters of all organisational change initiatives fail. This makes it all the more important that financial institutions help staff to see the benefits of change. Certainly, there is reason to hope that employees will be keen, if they understand the future benefits of transformation. In short, digital culture requires greater collaboration, agility and, above all, a strategy and vision that is designed to put people first. Because for financial institutions who can engage with customers in a way that adds real value to their daily lives, the digital future looks very promising indeed.